Price Adjustment! Welcome home to Trilogy at The Polo Club, a guard gated, resort-like development of newer homes in Indio. 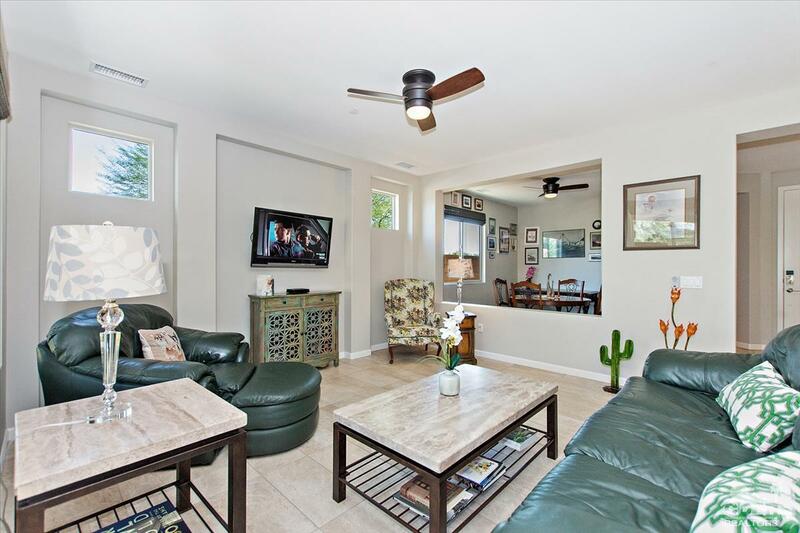 This rare, Cannes model on a corner lot, features a light and bright, open floor plan with a spacious kitchen with plenty of storage, stainless appliances, a dining room or den, an office area in the huge laundry room and paid off solar. Plus, no carpet at all! The outdoor patio is amazing as it's totally covered for maximum outdoor time. 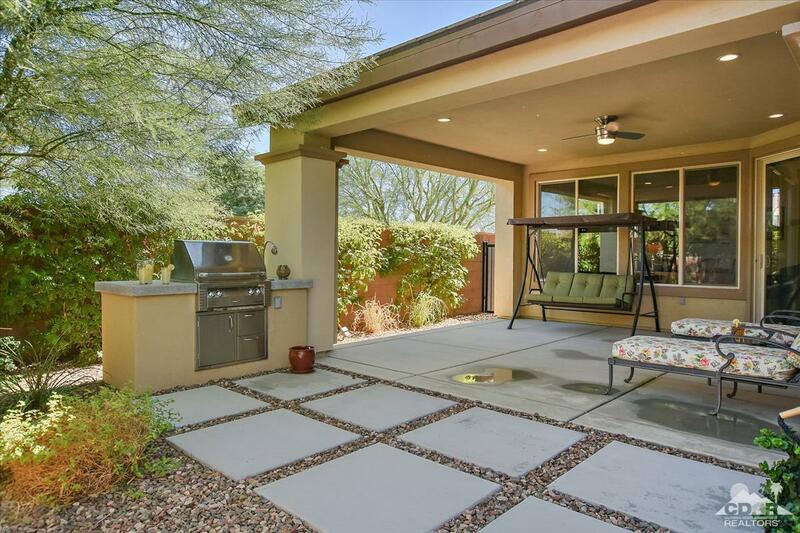 Fire up the built-in outdoor grill, enjoy dinner, a libation, or just relaxing with a good book. 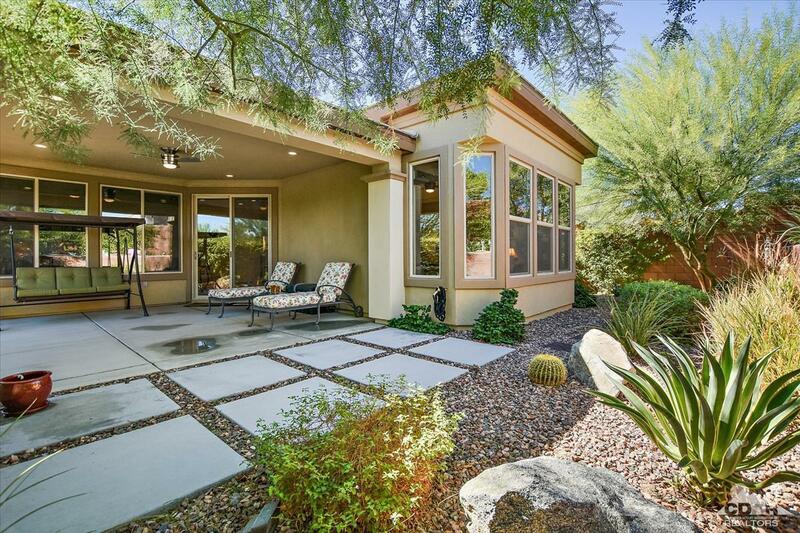 All of the landscaping is drought resistant, for ease of maintenance, and the HOA takes care of the front. Trilogy Polo offers a spectacular clubhouse, pools, spa, tennis, and social activities. Very low HOA's. 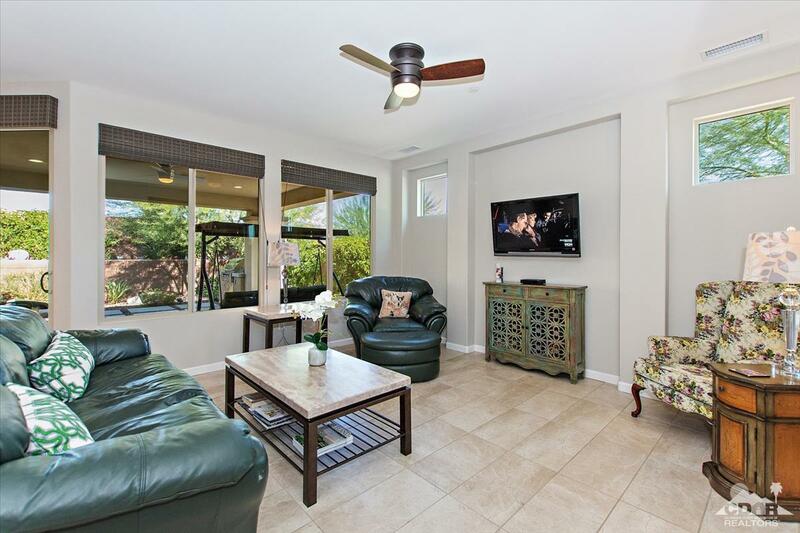 Close to world-class golf, tennis, shopping, theater, dining, hiking, biking, and all that the desert has to offer. This home is for 55 or better.